Luis Alberto Suárez Díaz is a Uruguayan professional footballer who plays as a striker for Spanish club Barcelona and the Uruguay national team. 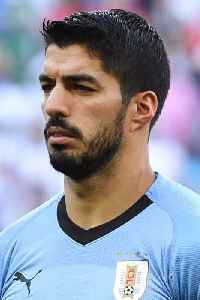 Often regarded as one of the best players in the world, Suárez has won 17 trophies in his career, including five league titles and a UEFA Champions League title at club level, and a Copa América with Uruguay. A prolific goalscorer, Suárez has won two European Golden Shoes, an Eredivisie Golden Boot, a Premier League Golden Boot, as well as ending the six-year dominance of Lionel Messi and Cristiano Ronaldo by winning La Liga's Pichichi Trophy in 2016. He has scored over 400 senior career goals for club and country.